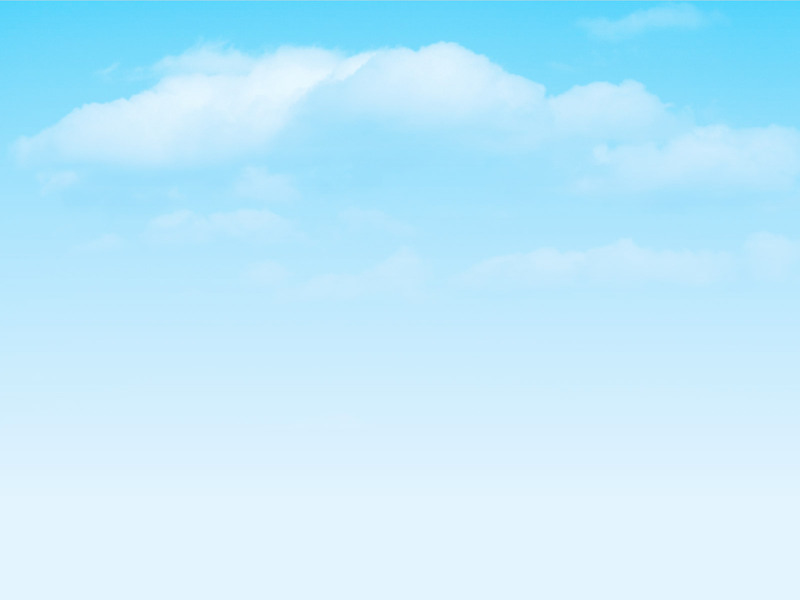 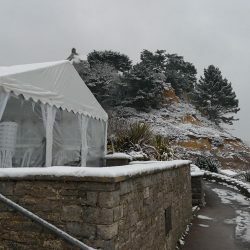 In the middle of March we experienced all of the seasons in one weekend! 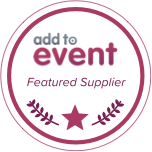 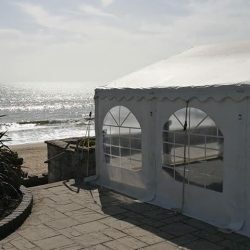 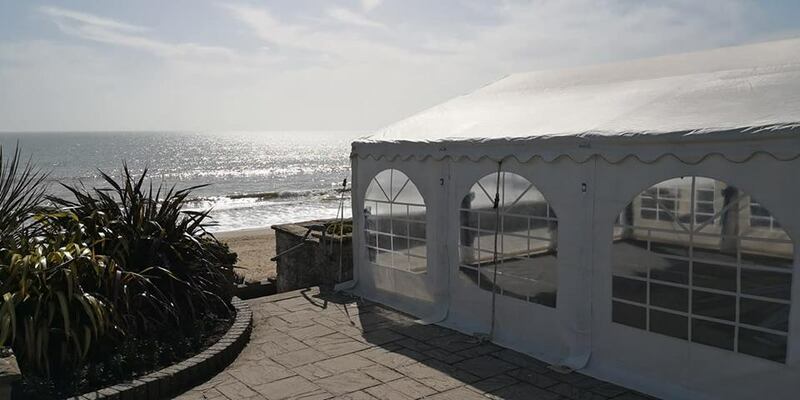 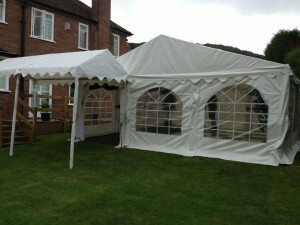 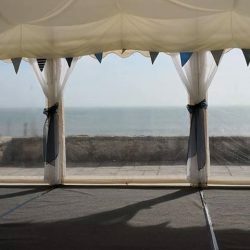 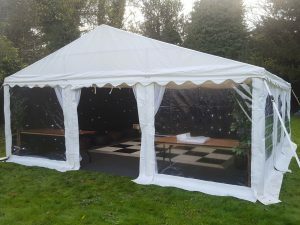 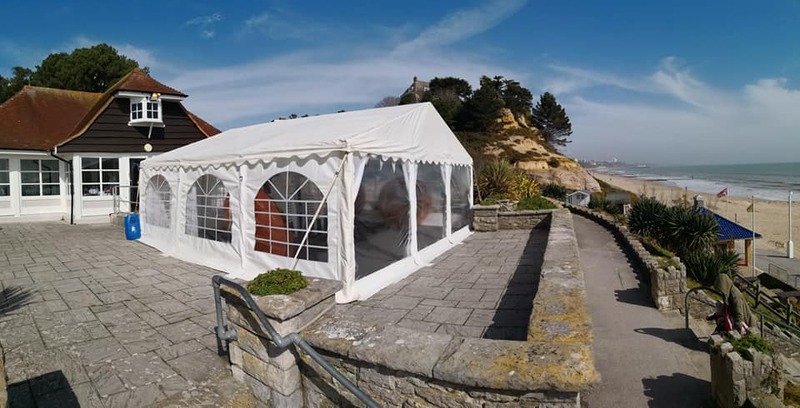 We set up our Jigsaw 36 marquee package for a wedding at the Branksome Dene Community Rooms in Poole on a gloriously sunny day wearing t-shirts. 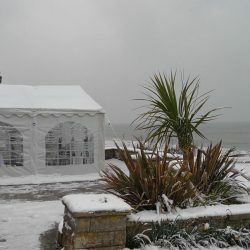 When we came to take the marquee down on the Sunday we were greeted by the most amount of snow we have seen on the beach for a long time! 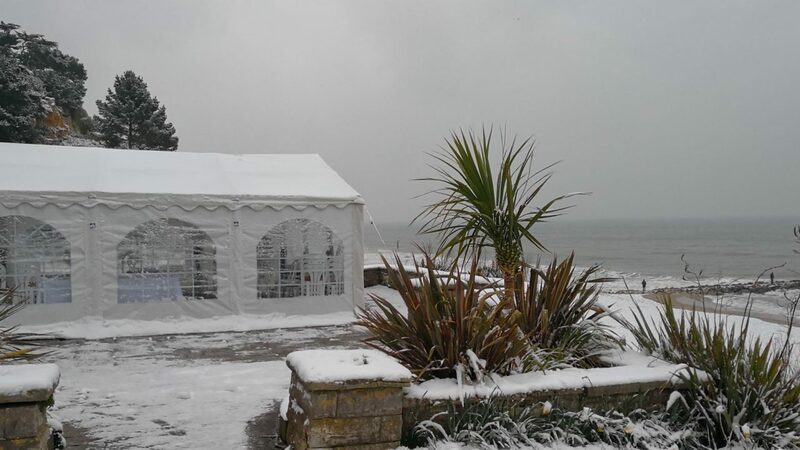 Wearing full thermals and hats we had the marquee down nice and smoothly and wondered what had happened to the weather we left at the venue on the Friday!! 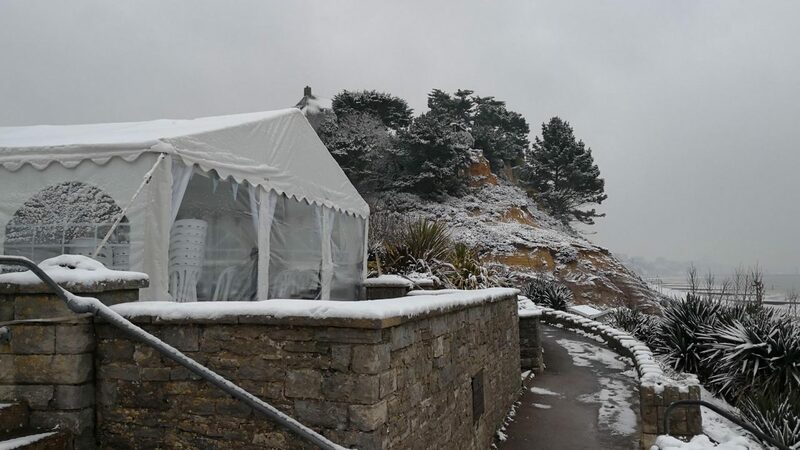 Although the snow made the outside chilly both the hall and marquee were nice and warm and the falling snow also made for some great wedding photos of the happy couple! 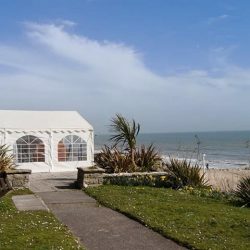 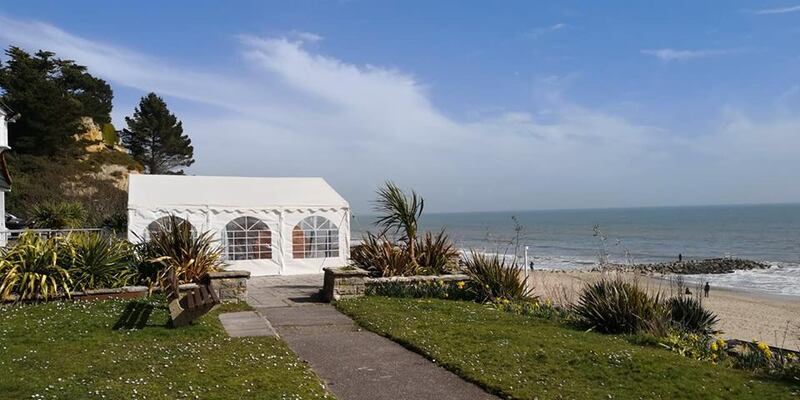 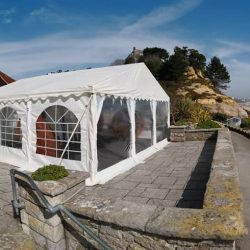 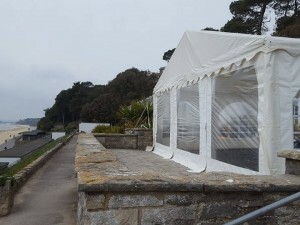 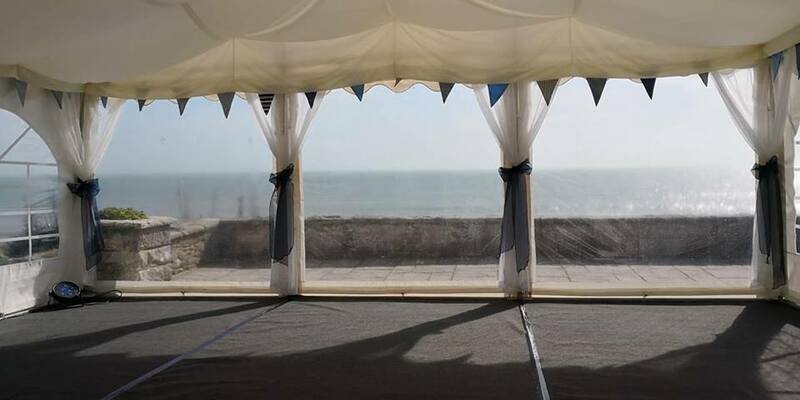 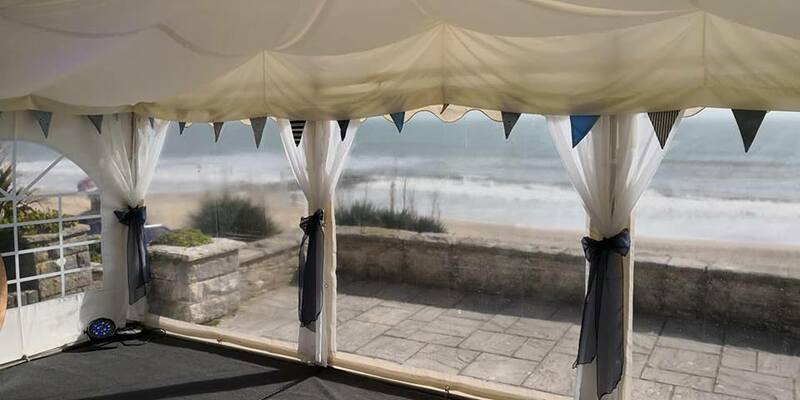 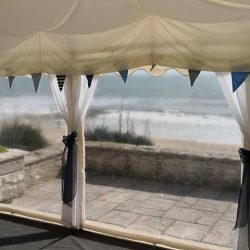 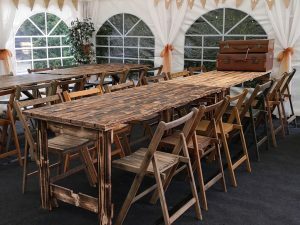 If you are interested in having a marquee at the Branksome Dene Community room please do get in touch and we can discuss all of the options available.